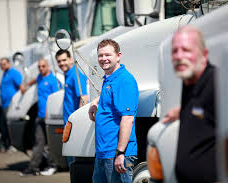 STS of NYS has more than 30 years of experience in Staffing and Transportation. In that time we have completed many large scale operations for a wide variety of Fortune 500 Companies. What sets us apart from other labor supply firms is our ability to put together large work forces with proper planning in advance or on an emergency basis. From professional and experienced DOT Class A CDL drivers, to specialized workers, STS of NYS Inc has a proven network of temporary labor that is unparalleled in the industry today. More than that, you can have confidence our staff is professional, DOT certified, and can usually increase production during labor difficulties. Maintain your deadlines and relationships during a labor dispute with strike replacement workers. STS of NYS is able to provide hard working and qualified replacement labor that will meet your needs and exceed your expectations. Get access to a motivated and capable labor force when you need them the most. We can supply workers with a variety of specializations for events such as strikes or labor disputes, boycotts, staffing shortages, seasonal shortages, company moves, planned closings, warehouse closings or warehouse openings. We also provide personnel transportation. STS of NYS has more than 30 years experience in Staffing and Transportation. STS provides labor nationwide to handle the most difficult staffing situation that your firm may experience. Whether it be strike related, surge staffing, company moves, and/or time studies, we have done it before. Our 30 year track record sets STS apart from other labor supply firms. STS provides only the most experienced professional drivers, warehouse manufacturing, and assembly line workers. They have successfully worked through the most adverse conditions and have delivered time and time again. STS of NYS has transported countless types of cargo, such as grocery, meat, produce, dairy, frozen, beer, liquor, fuel, compressed gasses, processed oils, construction material, cement, cargo shipping containers, windows, and bus drivers.